Do you ever want to look through old magazines and see what life was like on campus 100 years ago? Old issues of The Archon are now available online! Simply go to the Internet Archive and search Governor’s Academy Archon, or browse the Academy's profile at the Internet Archive. 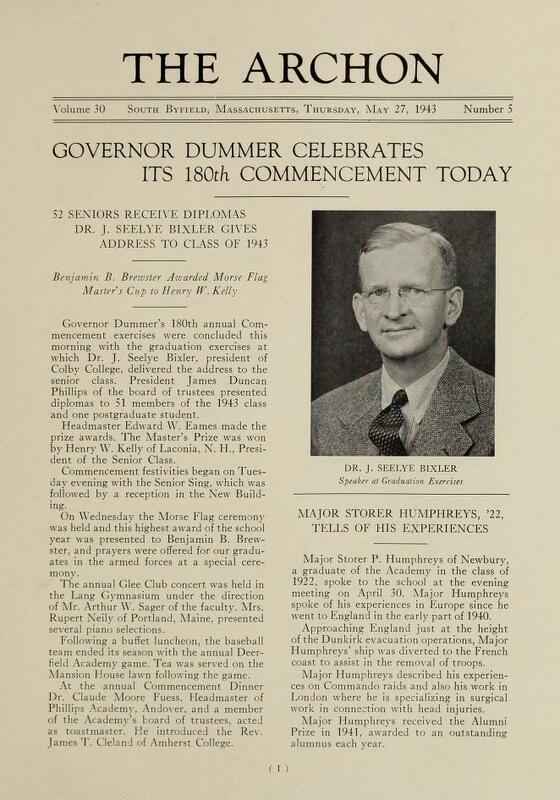 The Governor’s Academy Archives compiles a blog to provide background information on the academy’s many items of historical significance, records of daily life, and memorabilia. Blog entries are added throughout the academic year. For more information on subjects in the academy’s blog, or to provide a comment or suggestion on blog material, please contact Sharon Slater, Manager of the Archives, at sslater@govsacademy.org.